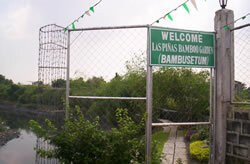 Since the City has been renowned for the Bamboo organ, Congresswoman Cynthia Villar felt a living museum called a Bambusetum would be a good accompanying tourist destination. 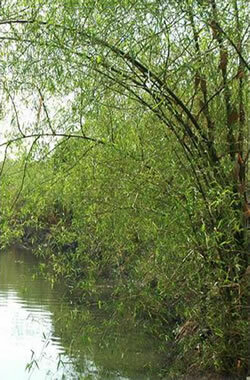 On July 27, 2005, she inaugurated the project and planted one of the first bamboo plants. 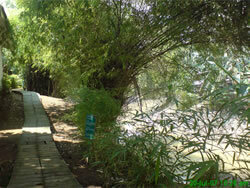 The Bambusetum is a protected area wherein different varieties of bamboo are grown and showcased. 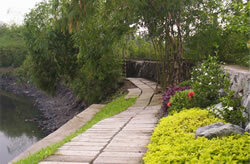 No other city in the metropolis can boast of having a Bambusetum with different varieties growing along the riverbanks from the exotic “black” bamboo to the Japanese dwarf varieties. As such, the place has turned into a favorite destination for students to have a picnic, appreciate nature, and value the river. 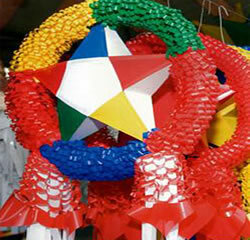 This efficiency earned Las Piñas the “Clean and Green Hall of Fame” Award.